The G-Technology 4TB G-RAID Storage System with Removable Drives is a professional high-performance dual-drive storage system. Configurable in RAID 0, RAID 1, or JBOD, G-RAID features USB 3.0, eSATA, and FireWire for ultimate flexibility. 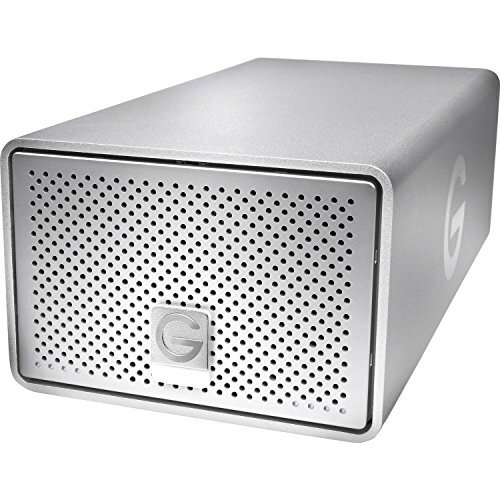 G-RAID ships with two removable 7200RPM Enterprise-class drives, complete in an all-aluminum enclosure.With transfer rates up to 330MB/s, G-RAID easily supports playback of multiple HD video streams. It is the ideal storage solution for video & photo editing with the leading editing applications, or simply for safe-guarding content.